I do have a Discord channel for the server now. If anyone wants to join please PM me. From the safety of Egg Island, you don't have to worry about zombies (or other players) attacking you here. Unfortunately, it's no longer armed with heavy crossbows and catapults, but the pirates and zombies don't know that. This portal is your key to riches... and possibly death. Through this portal, you have the opportunity to claim the most sought after loot and conquer the most difficult bosses. If you're lucky throughout your travels, you may come across a zombie that drops a crate. These crates contain supplies and highly sought after equipment. If you plan on surviving, these are crucial. After you spend some time in the apocalyptic world, you may be able to snag a skin. These will prove to be incredibly useful. A friend of mine mentioned a Discord bot being useful. 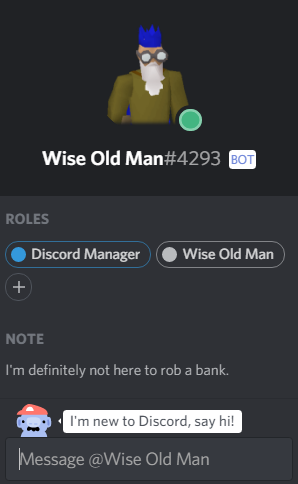 I agreed, and thus, The Wise Old Man Bot was born. There will likely be more features in the future, such as auto-assigning roles from in-game. This bot was built using the Discord4J API. Do not use the one on Rune-Server, it is deprecated and no longer supported in required libraries (Discord4J). Start to finish, bugs knocked out as soon as I knew about them, this took about 16 hours of work. You can link your Discord account to unlock some extra commands. Share stats with the Discord server. See if a specific player is online. Display total level, combat level, total XP, your in-game rank, and more. Displays the current world event. Displays the current world perk. Displays your PvP kill count. Announce when a player reaches 99 in a skill. PM you when you unlock a new Prayer. PM you when you get a rare drop. If you don't have the item, don't even bother them! But if you do, you have the option to help. There is no penalty for saying "No". If you choose to help, you'll pick up some blood money.. and maybe something else if you're incredibly lucky. Also, there may or may not be a milestone at 100. I guess you'll have to find out. And no.. you cannot farm it. Looks like I got incredibly lucky. Mad Scientist area has been reworked completely. 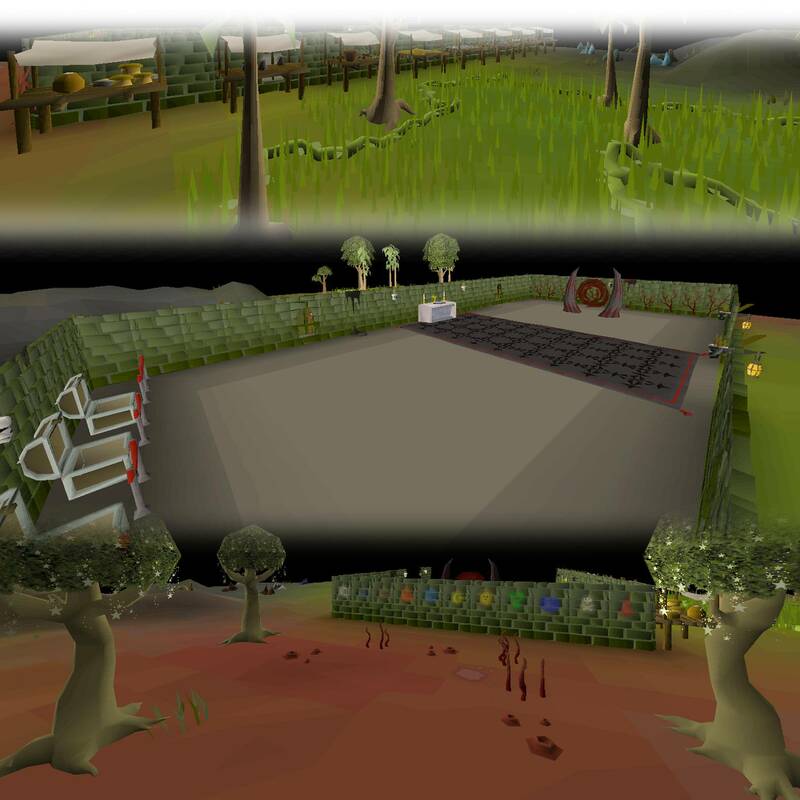 Skilling area has been started and finished. Mining rocks IDs have been updated. Woodcutting tree IDs have been updated. 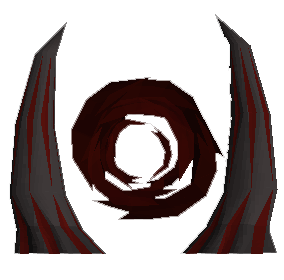 Thieving stalls have been updated and placed in the skilling area. Your logger will now track Mad Scientist kills. You can now display a string of your boss kills in Discord, ONLY if you've linked your account. Added more drops to the Mad Scientist. Herb box can now be opened for random herbs. Survivors have been changed to spawn once every other hour. Some pathfinding with combat has been fixed. A training area has been added, in the northern part of the home area. 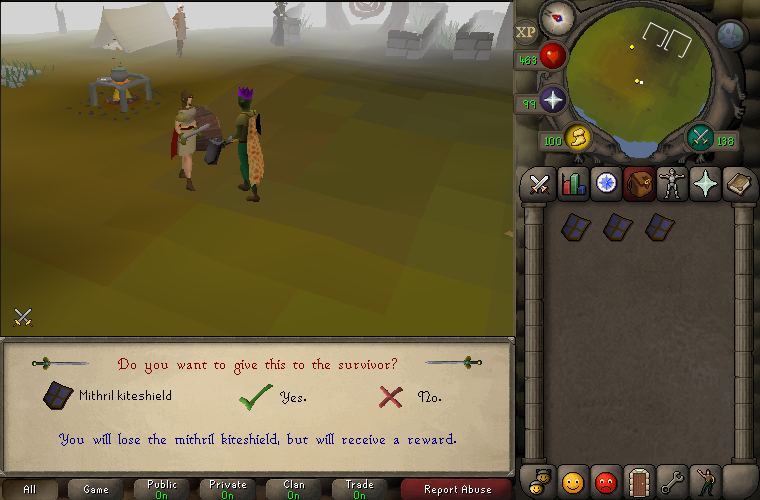 The quest tab will now update with your stats; place holders have been removed. All of Varrock is dangerous. The only safe zone will be islands. Banking has been fixed; insert item and tabs have no more bugs left that we've found. 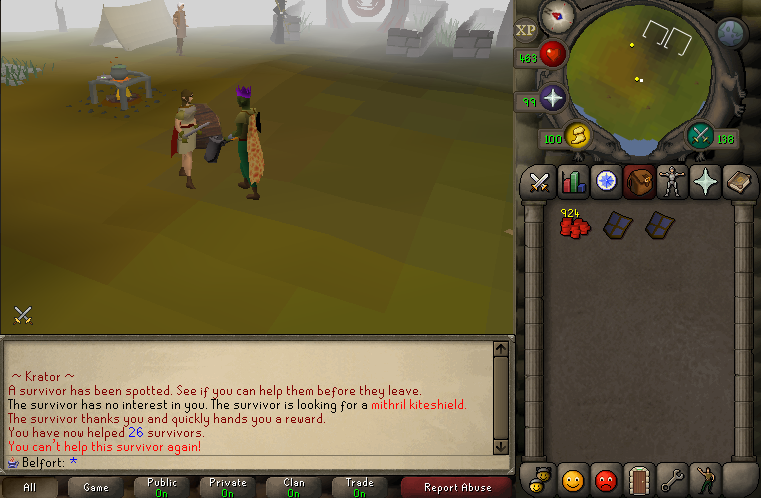 Combat XP rates have been boosted significantly. The Mausoleum now works; it is where all shops will be located aside from Death's BM shop. You can change your appearance using the tents at home. Golden Magnet: With a golden magnet, you no longer have to worry about retrieving your dropped currency. This can be upgraded to automatically bank your dropped currency as well. Bonecrusher: Bones are a hassle to pick up. No more! Bone crushers will crush bones automatically for you. 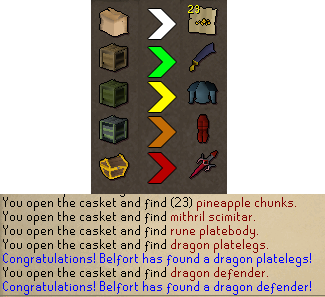 This can be upgraded to automatically bank your dropped bones if you don't wish to bury them. Updated to #176 data. This update required a lot of pet/NPC IDs to be corrected. Respawn times for thieving stalls has been lowered & made the same across the board. Mad Scientist has been tweaked to have (much) more HP. HP will no longer refill to the max amount upon level up. Undead cows now have 25 HP. Undead chickens now have 25 HP. 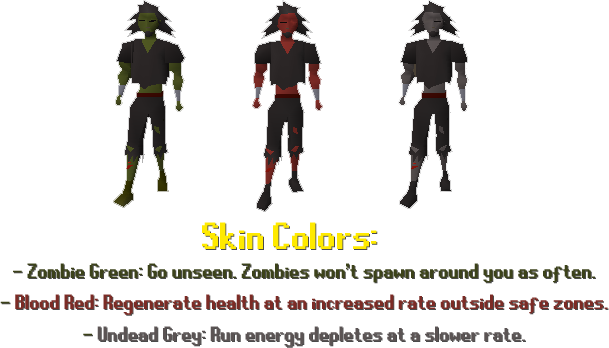 You can now smelt in the skilling zone. 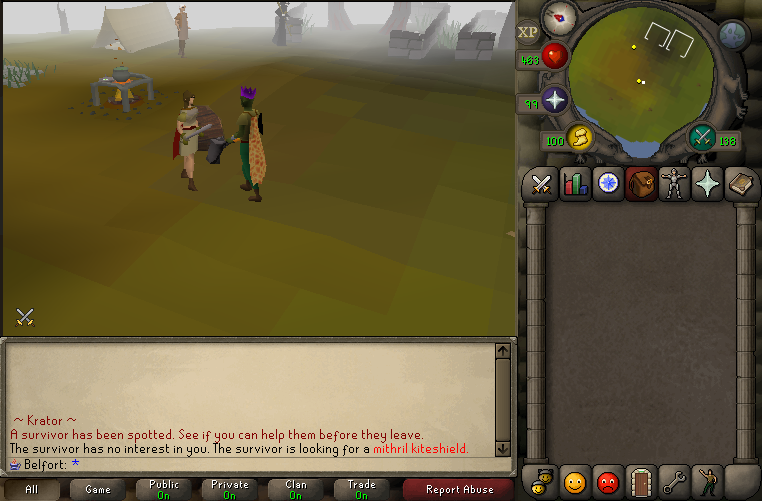 You can now use the Runecrafting portals in the skilling zone. While killing the Mad Scientist, you may find a companion to accompany you. All fishing data has been entered. Last edited by Jordan Belfort; 02-22-2019 at 07:05 AM. Project looks great so far, good luck! 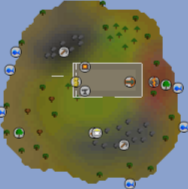 Are you going to use any of rs maps? or making all maps yourself? Looks good & is obviously different to the majority of other servers out there, nice work. Looks like it could be fun! Good luck. I don’t have any strict plan on custom vs original maps. I would like a lot of custom maps but RSPS seems to like familiarity so.. I’ll do my best to balance it.